As the competition in the contact center industry continues to gain more intensity with every passing day, most players of this business segment cannot help themselves but continue to follow the crowd. Moreover, the expansion of social media technologies such as microblogging sites, online reviews and ratings as well as public forums and social networking sites has encouraged customers to share their opinions like never before. Not only does your customer have the power to exercise an influence on the image of your brand, but is also like a controlling authority for it. This is the reason almost every company is fielding around industry analysts looking for foolproof measures to keep customers happy. All set and done, it is not so easy to feel the pulse of your target audience who are much more unpredictable than the climate! No doubt, the business of customer service has witnessed many changes over the years. The advancements and breakthrough changes in call center technology stand evidence to the fact. In addition, service providers have also realized that their tech-savvy, smart customers cannot be deprived of their rights. Consequently, an omni-channel experience is what companies intend to offer. Irrespective of the channel a customer chooses, a worthwhile experience is what he looks at. Although the majority of enterprises utilize many applications and platforms for enhancing the service experience of their customers, a lot needs to be done in terms of integration. However, the assimilation of various functions is not possible unless a company has a one-track goal of delivering excellent customer support. The emergence of cloud computing and its expansive growth with more and more businesses adopting this technology has reinforced the confidence of business owners. One cannot deny that the trend is here to stay for quite a long time. The benefits of this trend are not limited in scalability, technological advancement, but also encompass better customer service and overall process efficiency. CISCO based Call Center services not only extend their wholehearted support to cloud technology, but also impart flexibility to customer care. This implies that irrespective of your service model, you can continue with your work without introducing any kind of change. 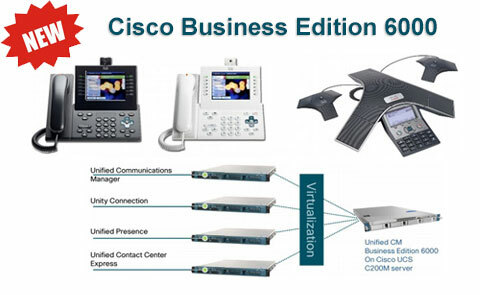 It is CISCO technology that helps you convert your customer service enterprise into a multidimensional contact center. With the help of this technology, you can easily integrate an extensive assortment of data channels and media for creating a congenial environment where various services are available through convergent networks. The implementation of CISCO call center services encourages you to adopt a collaborative and integrated approach towards your customers. In a nutshell, your customer can easily enter an otherwise busy call network!